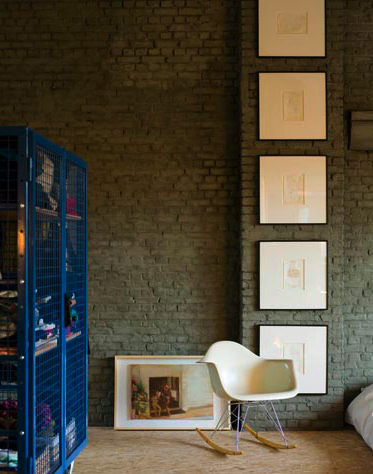 I love the simplicity of this room and the look of the Eames rocker against the brick wall. To quote Rachel Zoe...I die! I am such a fan of exposed brick...now if only I could convince Mike to like Eames chairs, we'd be in business. Simple is always good! Those are some great chairs too!